Mint Rolls / Bags There are 42 products. 2016 20c 50th Anniversary of Decimal Currency Mint Roll (20 Coins). This is the first time ever that a circulating coin obverse has been changed. 2016 50c 50th Anniversary of Decimal Currency Mint Roll (20 Coins). This is the first time ever that a circulating coin obverse has been changed. 2016 10c 50th Anniversary of Decimal Currency Mint Roll (40 Coins). This is the first time ever that a circulating coin obverse has been changed. 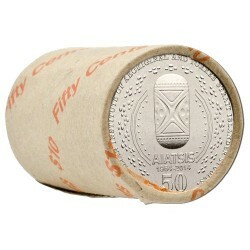 2016 5c 50th Anniversary of Decimal Currency Mint Roll (40 Coins). This is the first time ever that a circulating coin obverse has been changed. 2016 $2 50th Anniversary of Decimal Currency Mint Roll (25 Coins). This is the first time ever that a circulating coin obverse has been changed. 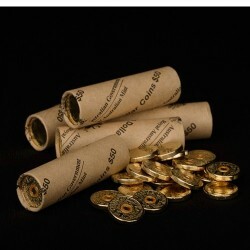 2015 $2 Remembrance Day Lest We Forget Mint Roll. At 11am on 11 November 1918, the Armistice was enacted and the combat across the battlefields of the First World War ceased. 2014 50c 50th Anniversary of Australian Institute of Aboriginal and Torres Strait Islander Studies Non-Coloured Mint Roll The Royal Australian Mint has partnered with the Institute of Aboriginal and Torres Strait Islanders Studies (AIATSIS) to produce this coin celebrating 50 years of research, promotion and preservation of indigenous societies. 2015 $2 Remembrance Day Colour 25 Coin Mint Rolls We have secured a limited number of Royal Australian Mint 2015 $2 Remembrance Day coloured Mint Rolls of 25 Coins. 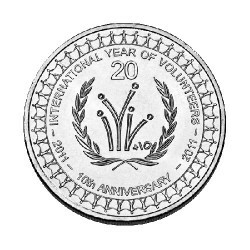 2011 20c International Year of Volunteers 10th Anniversary Mint Roll (20 Coins) Ten years have passed since The International Year of Volunteers in 2001, and though a General Assembly Resolution, the United Nations called for this anniversary to be marked across the planet. 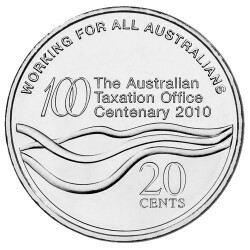 2010 20c Australian Tax Office Centenary Mint Roll (20 Unc Coins) The Australian Taxation Office will celebrate it’s Centenary on 12th November 2010. 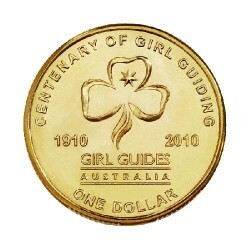 2010 $1 Centenary of Girl Guiding / Guides Mint Roll (20 Coins) The Royal Australian Mint celebrates the Centenary of Girl Guiding with the issue of the commemorative $1 coin.